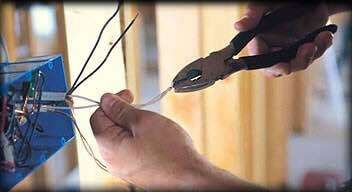 Looking for an Electrician in Colorado Springs, CO or the Surrounding Area? All Star Electric can help! Request a quote or inquire about our services. Need to speak to someone? Give us at (719) 640-2650. All Star Electric is the best solution for all your electrical needs. All Star Electric has been providing Colorado Springs, Colorado and the surrounding area with all its electrical needs since 2006. All Star Electric has only the best electricians on hand to execute high quality work. Our work crews are experienced, highly skilled, and courteous. No matter how large or small the task, All Star Electric will get it done right the first time! All Star Electric is also family owned and operated, so you can rest assured that you will receive the friendly personal touch that you deserve. Our goal is to ensure the complete satisfaction of every costumer. Through our dedication to you, and our commitment to high-quality work, we know we can offer you the absolute best service in the electrical industry. All Star Electric is here to give you exactly what you want, the way you want it, at the lowest possible price! You have a story and we add peace of mind, light, convenience, and fun to that story. Let our family, our team, and our electricians assist you in making your story a better one. We enjoy working with our clients creatively. We bring decades of experience to the show we host at your place of residence or business. It is our pleasure, at All Star Electric, to perform our job for you, our customer, "the hero", and guide our customer to simple, cost effective, and fun solutions. Life is an adventure, but your electrics shouldn't be. You don't have time to herd electrons, climb ladders, crawl into the nether parts of your home, let us do the dangerous stuff. Contact us today and you'll be glad you did! We are winning the race with our competitors!! Call us today and join the winning team! We offer the best warranties in Colorado Springs, 2 years on parts and a lifetime on labor. But what we are really excited about that separates us from our competition is prayer. That's right, we said it. Many of our customers appreciate faith and after each project we try and offer prayer to our customers and/or their families. We often mention that we don't just want a job, but lifetime customers. That is one of our motivations for bringing up safety concerns when we find them. We want to serve and protect. We consider you like family. One day, we will all move on into eternity and while we believe electrics are important, we know that the things of earth are only temporary and we would love to make an eternal difference in you and your family's life also.